Candles signify different things in different religions. Lighting candles on Christmas is an old tradition. 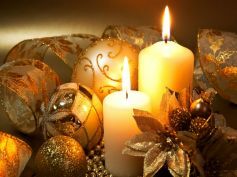 The tradition of lighting candles on Christmas comes from the Jewish 'Feast of Lights' or Hanukkah.